Dr. Jody Bremer, family therapist, visits again to continue her discussion about being comfortable seeking out a therapist, the benefits of visiting a therapist, and why it may be the best choice for you! Today we will address the family dynamic when their military loved one is being deployed. Jody appreciates all she has in life: “I have experienced a vast array of life’s challenges, including a life-threatening childhood illness, a stint as a Marine Corps wife, mother to two fabulous children who, thankfully, are well into and almost past their teen years, and completing my Master’s Degree a full 20 years after graduating from high school. Stephen Boyd served on active duty in the US Army from 1967 to 1970. He served in Korea in 1968 and Viet Nam from 1969 to 1970. He has numerous awards and decorations for his military service. Steve received his Associates degree in Biology, recently returned to receive his Bachelor of Science degree in 2007 and is currently is finalizing his PMP certification. You’re never too old for education, he says. His new experience dealing with the VA came about because of a layoff in 2010. Being without medical coverage, Steve’s wife prompted him into investigating the benefits the VA could offer. What a pleasant surprise he had in discovering a wealth of support at the Manchester, NH VA facility. He will be featured on Military Mom Talk Radio periodically to discuss veteran resources and VA benefits. There is more to death than simply ceasing to live. 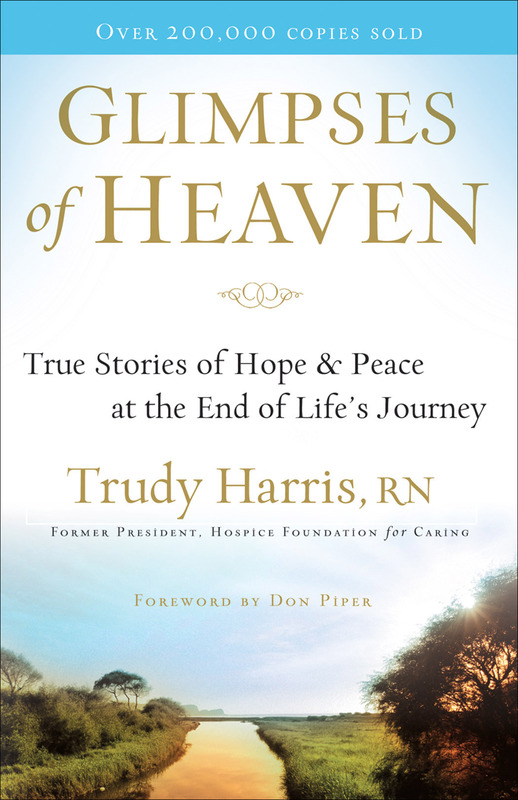 In Glimpses of Heaven, retired hospice nurse Trudy Harris offered an intimate look at the final days and moments of terminally ill and dying people. Now she shares more of her stories and also stories from other medical and hospice professionals, allowing the veil to be drawn back on God’s handiwork, while we are both living and dying. If you have lost a loved one, are facing a terminal illness, or are simply curious about what happens when we pass from life to death, More Glimpses of Heaven offers you an even deeper insight into God’s plan for our lives every day. Trudy Harris, RN, was a Hospice nurse for more than 22 years and former president of the Hospice Foundation for Caring. During those years she was responsible for all public relations, marketing, fund raising and development, raising more than 45 million dollars for her local Hospice program. Trudy’s first book, ” Glimpses of Heaven ” has sold over 300,000 copies and is currently published in 9 languages. She remains active in connecting the needs of terminally ill and dying patients in her community with the Hospice program she knows can best meet their needs. Her latest book, ” More Glimpses of Heaven ” was published in November 2010 and is already enjoying a wide readership. Caitlin McCleary Horn and Jason Strickland join us from TroopSwap. Founded by two Army Rangers, the company developed technology to validate military affiliation online in order to empower brands to honor military service through online discounts without fear of fraud. The site has attracted over 80,000 users in five markets since commencing operations in May 2011. Caitlin McCleary Horn is a proud military spouse to an active duty US Naval Aviator as well as the Director of Sales for TroopSwap.com. As the first female (and 4th overall) employee of the company, Caitlin has seen the startup through each stage of the company’s life cycle and, in turn, has had the incredible opportunity to work hand in hand with each of the 12 military spouses and veterans on the ground in each of the local markets as they work to build relationships with local and national military-friendly businesses. Caitlin graduated from the College of Charleston in 2008 with a Bachelors of Science degree in Accounting and Legal Studies. Prior to coming on board at TroopSwap, Caitlin resided in the DC area and garnered professional experience working for top corporate law firm Cooley LLP as a Business Development Associate as well as with Deloitte & Touche, LLP’s Audit and Enterprise Risk Services sector. Jason Strickland is a Partner Development Executive for TroopSwap and a retired U.S. Army Officer. He’s been married for nearly 20 years and has twins that are seven years old. Based in Colorado Springs, Jason recently launched the first new market for TroopSwap since 2011. He’s grown the membership base in Colorado from just over 300 in May 2012, to over 2,000 in March 2013. He’s listed over 50 businesses offering either a TroopSwap discount or daily deal. Jason graduated with a BA in Government (International Relations) from California State University, Sacramento, in 1991, where he was also a Distinguished Military Graduate. He later earned a Master of Public Administration from the University of South Florida in 2003. Jason served as a Military Intelligence Officer during his career in the U.S. Army and had several deployments to the Middle East for Operation Iraqi Freedom. He earned the Legion of Merit and Bronze Star during his service. He commanded a unit of over 125 Soldiers during a humanitarian assistance mission in Central America in the late 90s. He has also written five articles for various Department of Defense journals / periodicals highlighting geospatial intelligence, critical infrastructure protection, and force protection issues. Jason also serves with his wife as a Director of Awana within his church and he helps facilitate mentorship programs at the Center of Leadership and Character Development at the United States Air Force Academy. BrendaGarth is President and Co-Founder of Semper Fi Sisters, a non-profit organization serving women who stand beside and behind our men and women in the uniforms that serve our nation. Brenda is also President of Forgotten Coast Warrior Weekend, a non-profit honoring combat injured war heroes annually in Gulf County. Both are 100% volunteer based organizations. An always faithful sisterhood, open to women who have a family member who has served or is serving in ALL BRANCHES of the U. S. Armed Forces. We offer support to each other and military family members as well as to individuals that are active duty or having served or are now a veteran. Our goal is to promote and provide moral support, assistance and empowerment by promoting communication, exchange of information and resources to help one another and individual military members and veterans. Annually each October we host a Semper Fi Sisters Beach Blast in Gulf Country, FL for our female members. We offer seminars that are educational in nature and support materials. Registration & donations are made by attendees and we receive public donations for shipping the “boxes of love from the home front” care/comfort packages plus purchasing items not received as a contribution to this program. In 2009 our first year, we shipped 36 boxes, in 2010 we packed over 300 boxes & 2011 over 700 and expect to exceed over 1000 boxes this year (Oct 17-21, 2012). Life: A community, building quality relationships and creating memorable experiences. Health: A platform, combining the right products, programs and support for lasting personal transformation. Prosperity: A path, delivering freedom and financial independence through the value we bring to others, while doing our part to give back. Robin Body and Sandra Beck have not been paid to promote this program, nor have they received any incentives for this segment. Military Mom Talk Radio brings this program to the public for informational purposes only. In a career which spanned over thirty years, Donald D. Blackburn was a true hero of the Army Special Forces. Shadow Commander is his story. Amidst the chaos of the American defeat on Bataan in April 1942, Army Captain Donald D. Blackburn escaped to the jungles of North Luzon, raising a remarkably effective guerrilla regiment known as “Blackburn’s Headhunters.” Blackburn’s World War II exploits were but the first in a storied life that took him to the highest echelons of the U.S. military. 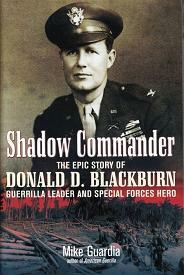 Shadow Commander follows Blackburn from World War II to his days as a one of the pivotal figures in the development of America’s Special Forces. Following World War II, Blackburn played a key role in initiating Special Forces operations in Southeast Asia, taking command of the highly classified Studies and Observations Group (SOG), which targeted Communist incursions along the Ho Chi Minh Trail. In the wake of the CIA’s disastrous Leaping Lena reconnaissance program, Blackburn revitalized Special Operations in Vietnam, and later conducted full-scale operations against the NVA and Viet Cong infiltrating the south via Laos. Following his return to the U.S., Blackburn was appointed “Special Assistant for Counterinsurgency and Special Activities,” where he was the architect of the Son Tay Prison Raid, the largest Special Forces operation of the Vietnam War. Mike Guardia is an Armor Officer in the United States Army. He holds a BA and MA in American History from the University of Houston. As an author, his interests include the history of guerrilla warfare, armored warfare, and World War II in the Pacific. He is the author of the critically-acclaimed book American Guerrilla: The Forgotten Heroics of Russell W. Volckmann by Casemate Publishers, and the forthcoming US Army and Marine Corps MRAPs, scheduled for release this November from Osprey Publishing. He is currently stationed at Fort Bliss, Texas. Barbara Allen is the widow of 1LT Louis Allen, who was killed in Iraq in June of 2005. 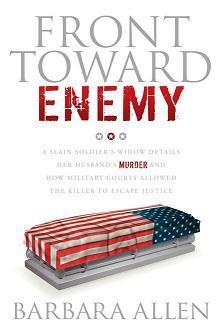 Her award-winning book, “Front Toward Enemy” chronicles the personal and factual accounts of her husband’s murder at the hands of a fellow soldier, and the subsequent acquittal of his killer. How can American soldiers be at risk among their fellow soldiers? How could these murders have been prevented, and how could this government allow a killer to go free? Front Toward Enemy is the personal and factual account behind the scenes of a case that is to the military judicial system what the O.J. Simpson case is to the civilian judicial system. Barbara is currently at work on her second book, expected to be published in 2014. In addition to her work as an author and a freelance writer, Barbara is co-founder of Bold Biographies, a business dedicated to writing personal biographies for her clients to pass down in their families. Barbara received a Masters degree in Criminal Justice from American Military University, and actively reaches out to other families grappling with the military judicial system. She continues to pursue the Purple Heart for her husband, as the government has thus far refused to classify Lou’s death as “Hostile.” She resides in NY with her four boys. Autumn Arnold is a single mom of two small children, and was looking for some serious help. Plagued with depression, fatigue, heartburn, and high blood pressure, she found a nutrition program that after only two weeks of starting the program, saw a great imporvement in her heartburn and high blood pressure and her energy shot through the roof. But the best part, she says, is that she has lost 33 pounds and gone from a size 20 to a size 14 and still going. Autumn is helping us find the healthy approach to the new year and how we can set realistic goals for ourselves and our families. She feels empowered to change lives with health and wants you to be empowered, too!! Peppered with Lincoln folklore, Searching for Lincoln’s Ghost offers an authentic look at coming of age during the tumultuous 1960s, exploring such disturbing topics as personal isolation, fear and depression, bullying, social and racial intolerance. It is 1966, and Castalia Indiana, like most cities of that time, is grappling with social and cultural change. Meanwhile, rumors have long swirled around Castalia’s Lincoln Elementary School. Over its long history, the school has produced two sixth graders who claim to have seen Lincoln’s ghost in the school’s auditorium. 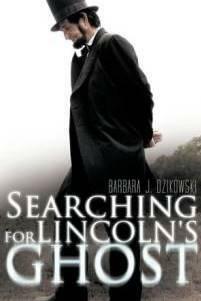 When Andi prays on her dead mother’s rosary to be the next sixth grader to encounter Lincoln’s ghost as “living” proof of an afterlife, a complex chain of events is set into motion, including the appearance of a new boy at school who harbors an explosive secret, and mysterious moaning emanating from the dark stage after school. While Andi desperately seeks answers to life’s most difficult questions, an unlikely new friend emerges—a mystical bait shop owner named Ezra who seems to have all the answers she’s searching for. In spite of substantive themes, Andi’s search for meaning is a captivating journey that will both delight and pierce the heart. It’s a timeless tale about the power of love, empathy, and how the actions of one person can profoundly impact another. For more information visit www.barbarajdzikowski.com. Brutal in its depiction of the harrowing nature of war and the price paid by our revolutionary ancestors, A Passel of Hate and its breakneck pacing forge a relentless adventure full of bravery, horrific violence, and first-rate historical-action entertainment.The fact-based novel vividly describes the tribulations and heartbreak of a frontier family with sons fighting on both sides in the struggle for American independence. Emotions are split and bitter among the Godley brothers as the British led Loyalist army invades western North Carolina in September, 1780. The farms and homes of residents rebelling against the king are plundered and homes burned. Supporters of freedom are murdered or beaten. The area is about evenly divided in allegiances, but most people want no part of either side. This is a vicious civil war of neighbor fighting neighbor, brother fighting brother. Outraged by the brutality by some Tory partisans, Jacob Godley and his youngest brother joined the Liberty Men while their three brothers and many neighbors take up arms to fight with the Loyalist militia. Reinforced with frontier militia from ‘over the mountains,’ the Patriots chase the Loyalists eastward, catching them Kings Mountain. The Patriots decisively defeat the Loyalists in a brutal one-hour battle, thereby turning the tide of the war. However, it is a bittersweet victory that results in much anguish for the Godley family. 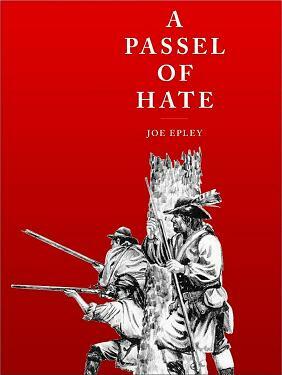 Gripping, visceral and full of intensity, A Passel of Hate is a recipient of a 2012 Silver Medal from the Military Writers Society of America. 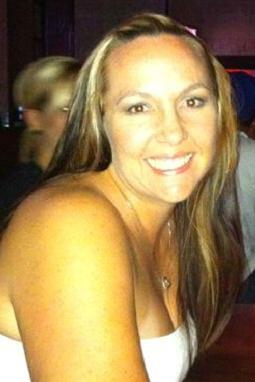 Richelle Rodgers is a respected professional in the museum, insurance and franchising industries. Richelle’s expertise has increased the effectiveness of the following organizations and businesses: Pennsylvania Department of Public Welfare, PHICO Medical Malpractice Insurance Company, Pennsylvania National Insurance Company, Boabab Culture Center, Rochester Museum and Science Center. As Collections Manager with the Pennsylvania State Museum she was entrusted with the management of 2 million plus artifacts in Harrisburg, and in 17 historical sites throughout Pennsylvania. Richelle Rodgers book, Forever Growing—a Journey of Trust is an inspiring testimony to how a relationship with the Lord will guide you through overwhelming events into a life of achievement and fulfillment. Richelle’s story is a living testimony of how her faith has guided her to emerge victorious and will give a voice to those who are overwhelmed by despair and anger. Her inspirational writing and speaking will encourage those: changing their business or career; reinventing themselves, forced to start over or dealing with illness, domestic violence or hard times. Hope springs eternal in both Richelle’s writing and speaking and she isn’t just talk the talk but has walked the walk. For anyone who is experiencing upheaval or uncertainty, Richelle’s Forever Growing– a Journey of Trust will inspire you to know that you can: “Let Go and Let God! Richelle is a U.S. Army veteran whose professional accomplishments have benefitted numerous community organizations and are testimony to her skills and talents. The outward accomplishments are only part of the story. Richelle’s relationship with the Lord and commitment to service to him is the foundation of her life story. Surviving a childhood where a terrible act of violence penetrated family life, where poverty and racism could have drowned her, Richelle grew in strength and overcame all obstacles to emerge victorious and a dedicated servant to the Lord. Today we will address managing relationships and how to keep those bonds strong during stress, separation, or even after reintegration. A native Granite Stater, Michael Moffett has taught history and management courses on the high school, community college, and university levels. Moffett also served on active duty with the 3rd Battalion, 5th Marine Regiment from 1983-85. He returned to active duty in 1990 as commanding officer for the Marine Reserve Detachment out of Topsham, Maine, later designated as A-Company of the 1st Battalion, 25th Marines. Captain Moffett led these Marines to the Persian Gulf where they were attached to the 1st Marine Division for Operation Desert Storm and the liberation of Kuwait. Lt Col Moffett again returned to active duty after the 9/11 attacks, serving on General Tommy Franks’ Operations Staff at Central Command. Lt Col Moffett later served as Director of the Marine Corps Enlisted Commissioning Education Program’s (MECEP) Prep School from 2003-2008. He joined Marine Corps University’s History Division in 2008, where he co-authored a monograph on the history of the Marine Corps Mountain Warfare Training Center with Major General Orlo Steele (USMC, retired). In January 2010, LtCol Moffett received one-year orders to serve as a field historian in Afghanistan. 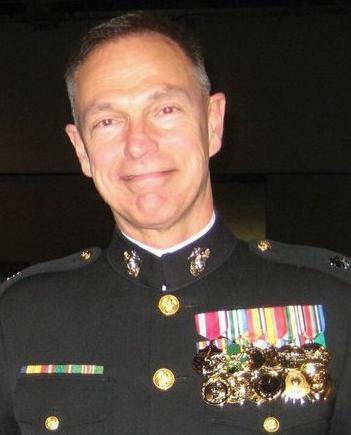 After retiring from the Marine Corps Reserve in 2011, Professor Moffett returned to Concord, N.H., where he teaches at the New Hampshire Technical Institute (NHTI-Concord) and writes a column for the Weirs Times (www.weirs.com). In 2012 Warriors Publishing Group published the critically-acclaimed “FAHIM SPEAKS: A Warrior-Actor’s Odyssey from Afghanistan to Hollywood and Back,” co-authored by Professor Moffett and Fahim Fazli, an interpreter Moffett met in Afghanistan. The book received the Gold Medal for “Best Military Biography” from the Military Writers Society of America (MWSA) on Sept. 29, 2012. Born and raised in Kabul, Afghanistan, Fahim Fazli enjoyed a relatively privileged childhood until the Russians invaded his country. As a young adult he supported the resistance and when he and his family got the opportunity they fled first to Pakistan and then eventually to the United States (in 1985). Forced to support his family, Fahim was not able to pursue his passion of acting right away. Eventually, though, he found work as a Hollywood extra in 1987. Sixteen years later he finally earned a Screen Actors Guild (SAG) card which positioned him for speaking roles. 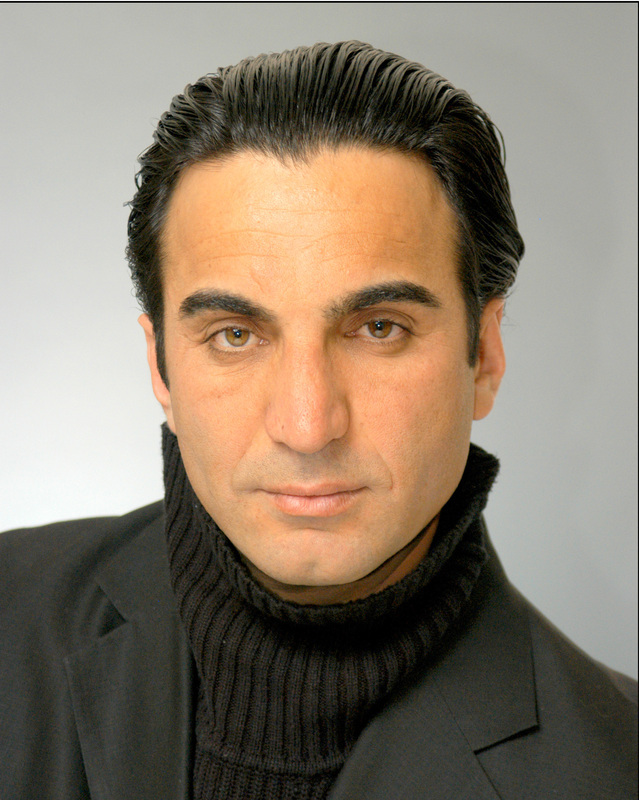 Since 2003 Fahim has appeared in numerous movie and television productions, and has also served as a cultural/technical advisor for several movie productions. Most recently, he played an Iranian militant in Ben Affleck’s film “Argo,” which was released on Oct. 12. Fahim currently lives in Orange County, California, and continues his work in television and movies. His memoir, Fahim Speaks, was released in March of 2012. Carolyn Howard-Johnson’s first novel, This Is the Place, won eight awards. Her second book, Harkening: A Collection of Stories Remembered, creative nonfiction, won three. An instructor for UCLA Extension’s world-renown Writers’ Program, her book The Frugal Book Promoter: How to Do What Your Publisher Won’t is recommended reading for her classes, was named USA Book News’ Best Professional Book, and was given the Irwin Award. Her second book in the How To Do It Frugally series for writers is The Frugal Editor: Put Your Best Book Forward to Avoid Humiliation and Ensure Success. It won USA Book News and Reader Views Literary Awards and the campaign for it won New Generations Marketing Award. 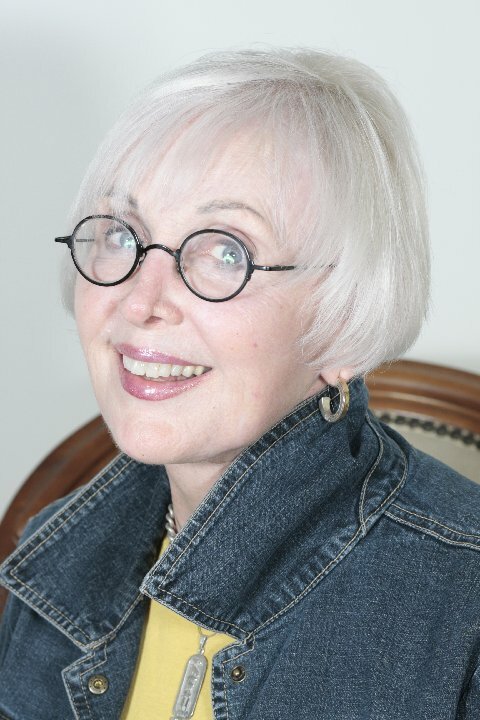 Her chapbook of poetry Tracings, was named to the Compulsive Reader’s Ten Best Reads list and was given the Military Writers’ Society of America’s Silver Award of Excellence. She is also the author of a series of chapbooks in the Celebration Series. They were coauthored with Magdalena Ball and include Cherished Pulse, Imagining the Future and She Wore Emerald Then: Reflections on Motherhood. She is the recipient of the California Legislature’s Woman of the Year in Arts and Entertainment Award; her community’s Character and Ethics Committee awarded her work promoting tolerance with her writing. She was also named to Pasadena Weekly’s list of 14 “San Gabriel Valley women who make life happen.” She blogs at Writer’s Digest 101 Best Website pick, www.sharingwithwriters.blogspot.com. Suzanne B. Phillips, ABPP, CGP, FAGPA is a licensed Psychologist, Psychoanalyst, Diplomat in Group Psychology, Certified Group Therapist and Fellow in the American Group Psychotherapy Association. She is Adjunct Full Professor of Clinical Psychology at the CW Post Campus of Long Island University, N.Y. since 1991 and Postdoctoral Faculty of the Derner Institute of Adelphi University. 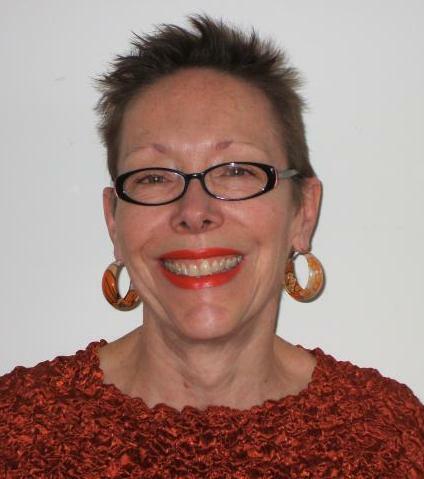 She on the Board of Directors and is Co-Chair of Outreach for the American Group Psychotherapy Association. She has worked, published and presented nationally and internationally on trauma, couple s, uniformed services, bereavement, relationship addiction, etc. This week we’ll take a look at Just How Much We Worry – Strategies for Winding it Down. We all worry, we all have stress. Suzanne helps us face it, identify it, and keep from being overwhelmed by it. Suzanne is author of three books and over twenty articles. Most recently she co-authored, Healing Together: A Couple’s Guide to Coping with Trauma and Post-Traumatic Stress. She has appeared on national TV as well as Radio. She blogs weekly on Psych Central (Healing Together for Couples) and Healthywomen.com. Her blogs have also appeared on Huffington Press and PBS This Emotional Life. In 2012 She was chosen as Psychologist of the Year for the Suffolk County Psychological Association. She has a private practice in Northport, N.Y. where she lives with her husband. She has two grown sons. Steve received his Associates degree in Biology , recently returned to receive his Bachelor of Science degree in 2007 and currently is finalizing his PMP certification. You’re never too old for education, he says. Blythe Lipman, author, publisher, teacher, caregiver, consultant, keynote, blogger and baby and toddler expert, is the owner and CEO of Baby Instructions in Scottsdale, Arizona. Blythe has 25+ years of experience in the field and cared for over 1000 babies. She has helped new and expectant parents gain the confidence they need to enjoy and care for their little miracles. There are hundreds of “tips and tricks” to get baby to do what you want – tips you’ve never thought of in Blythe’s book, “More Help! My Baby Came Without Instructions!” – a collection of the be st and easiest tips ever! The book is designed for your “Help!” emergencies. It’s fast and easy! Blythe is also host of Baby and Toddler Instructions on Toginet.com, every Wednesday at 11 a.m. eastern. Visit www.babyinstructions.com for more info. Marcia Gates was an Army nurse and prisoner of war during World War II. 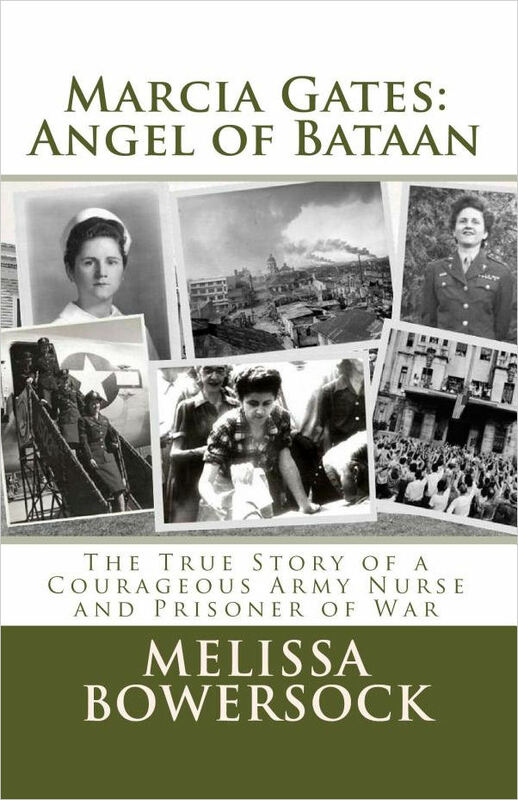 As an “Angel of Bataan,” she spent three years in a Japanese internment camp in the Philippines. This is her award-winning story, told through her own words and the newspaper clippings, photos and letters collected by her mother. Author Melissa Bowersock is the niece of Marcia Gates. Melissa Bowersock is an eclectic writer who turns her hand to any kind of story that moves her, be it contemporary, western, fantasy, romance, action/adventure, biography, satire or spiritual. To date she has published 9 novels and 1 biography. She thrives in the Sonoran desert of Southern Arizona with her husband and an Airedale terrier. She is also a certified hypnotherapist. 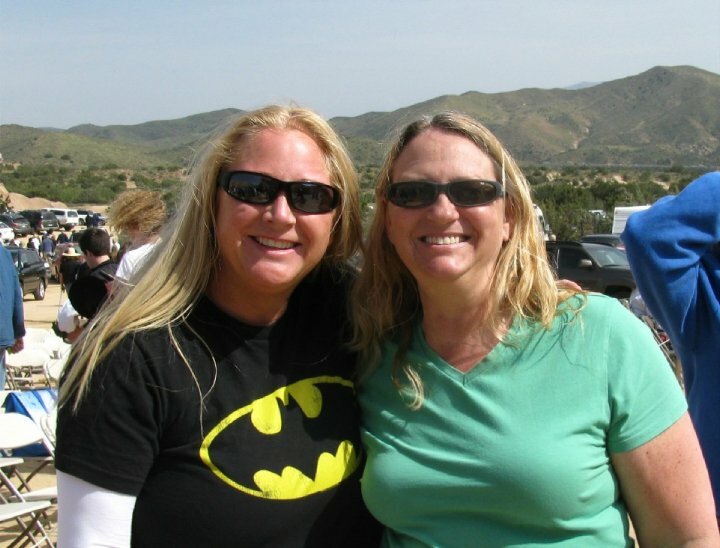 Learn more about Melissa and Marcia Gates at www.newmoonrising.net. 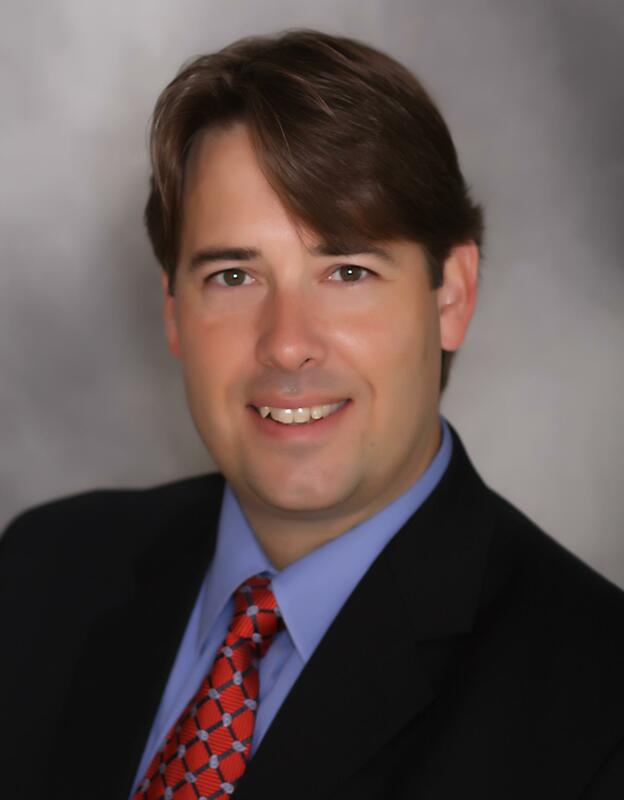 Dr. Kevin Hull, PH.D. Clinical Counseling, is the founder of Hull & Associates, P.A., a private practice specializing in working with children, adolescents, and families. Hull background includes 8 years working in community mental health and teaching at Webster University’s Masters of Counseling Lakeland Campus, Liberty University Online. He is the author of Computer/Video Games as a Play Therapy Tool in Reducing Emotional Disturbances in Children, Play Therapy and Asperger’s Syndrome: Helping Children and Adolescents Connect, Grow, and Heal through the Art of Play, and Bridge Building: Creating Connection and Relationships between Parents and Children/Adolescents on the Autism Spectrum. Hull enjoys a good game of golf, playing the piano, playing basketball, reading, and most importantly spending time with wife Wendy and their four children. Linda Jefferson created a national network of GoArmyHomes Websites to help military families through the rigors of finding housing when relocating to a new Duty Station. As a seasoned REALTOR®, Linda knows from a very personal level, the pressures and problems facing our soldiers and their families, especially when it comes to finding immediate, affordable and comfortable housing. GoArmyHomes family of housing professionals are waiting to provide immediate experience, knowledge and solid support. GoArmyHomes will soon launch the GoArmyHomes Cookbook filled with wonderful family recipies and personal stories of fellow military families. 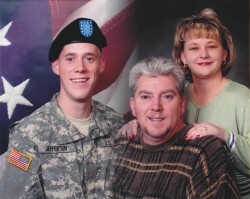 Linda is an author, writes a regular blog for GoArmyHomes, and is a military mom whose son Kyle is serving in the US Army. Linda Jefferson and her team at Century 21 Prime are specialists in Lawton, OK real estate service, they know the best homes for sale in Lawton, OK and they offer Army friendly support to families relocating to Fort Sill. When you are making a PCS move to Fort Sill, OK, you will find that her team knows that when a family member enlists in the military, the entire family joins – and when you are ready to move, her team is proud to serve. Autumn Arnold is a single mom of two small children, and was looking for some serious help. Plagued with depression, fatigue, heartburn, and high blood pressure, she found a nutrition program that after only two weeks of starting the program, saw a great improvement in her heartburn and high blood pressure and her energy shot through the roof. Driven by the immediate benefit to basic modifications to her daily lifestyle and eating habits, Autumn is challinging others to move forward to better health. Suzy Manning has lived into her description at birth from her parents – “tiny, but mighty”. For over 30 years, she has dedicated her life to transforming women’s lives. She believes that life is a journey of personal evolution. Every day we have choice to ask powerful questions to overcome limiting beliefs to create the life we deserve. When a woman pursues her passion, she becomes ageless. Abundance flows into her life as creativity, happiness, relationships, optimal health, and financial freedom! She has inspired women to feel good in their bodies with her own fitness program. She has facilitated seminars and retreats for women to renew, to re-energize, and to reward themselves for their uniqueness. Her articles on women’s wisdom have appeared in Healing Garden Journal and phenomeNEWS. Wise Women – Circle of Wisdom is her international selling inspirational gift book. 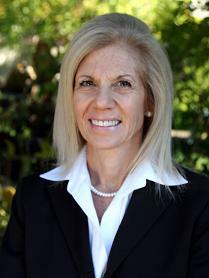 Suzy holds a Masters degree in Agency Counseling from Siena Heights University. Continual immersion in her own self-growth and evolution allows her to connect with others with authenticity and impeccability. 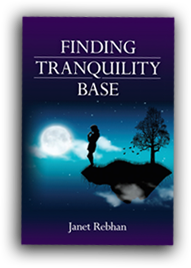 Her studies have included shamanism, reiki, massage, enlightened warrior training, train the trainer, millionaire mind intensive, investment and business building, and 4T prosperity. Her motivation comes from her own life’s challenges and realization that all of our stories overlap. Her personal intent is to empower women to own their magnificence, to ignite their dreams, and to illuminate their beauty, power, wisdom, and leadership in their Sizzzl years of 50+. There is powerful energy at a cellular level in women as we embrace our 60′s, 70′s, and 80′s. It is not a time to be invisible, but a time to be seen and heard. We are the change agents. Lisa Detres is a pastor’s wife, writer, and mother of four children who works as an author in Oregon. Her oldest son, Augustin, is currently serving in the Army and is stationed at Fort Drum, New York. Lisa grew up in Denver, Colorado and followed her dreams of working in the garment industry to California. It is there where she met her husband, Al and earned a Bachelor’s degree in Fashion Design. She worked in the garment industry for several years and then went into business for herself so she could spend more time with her family. She earned an MBA while caring for her family, running her own business and home schooling three of her children. She is currently writing her first book which deals with helping women get closer to God.